TotalPond's 2000 GPH Waterfall Pump is ideal for cascading waters up to 10 ft. in height. It has a maximum pumping height of 17 ft., is compatible with 1 and 1-1/2 in. tubing and comes with a 16 ft. power cord. Available at The Home Depot. TotalPond® waterfall pumps have high performance, wet bearing motors capable of moving large amounts of water to create dynamic effects. These powerful motors are energy efficient and are designed for quiet performance so you can enjoy the sounds of flowing water, not the buzz of the motor. All of our waterfall pumps include a pumpshield® to protect it from dirt and debris, which will also extend the life of the pump. The 2000 GPH Waterfall Pump is ideal for cascading waters up to 10 ft. in height. It has a maximum pumping height of 17 ft., is compatible with 1 and 1-1/2 in. tubing and comes with a 16 ft. power cord. The 2000 GPH Waterfall Pump is ideal for medium waterfalls up to 10 ft. tall. 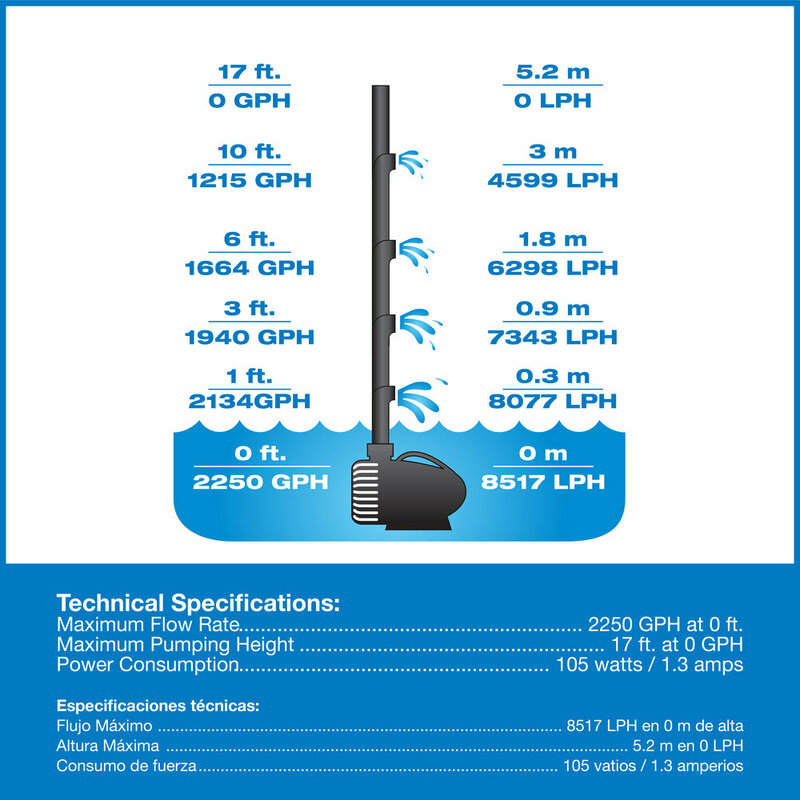 With a maximum pumping height of 17 ft., this energy-efficient pump helps power a waterfall. 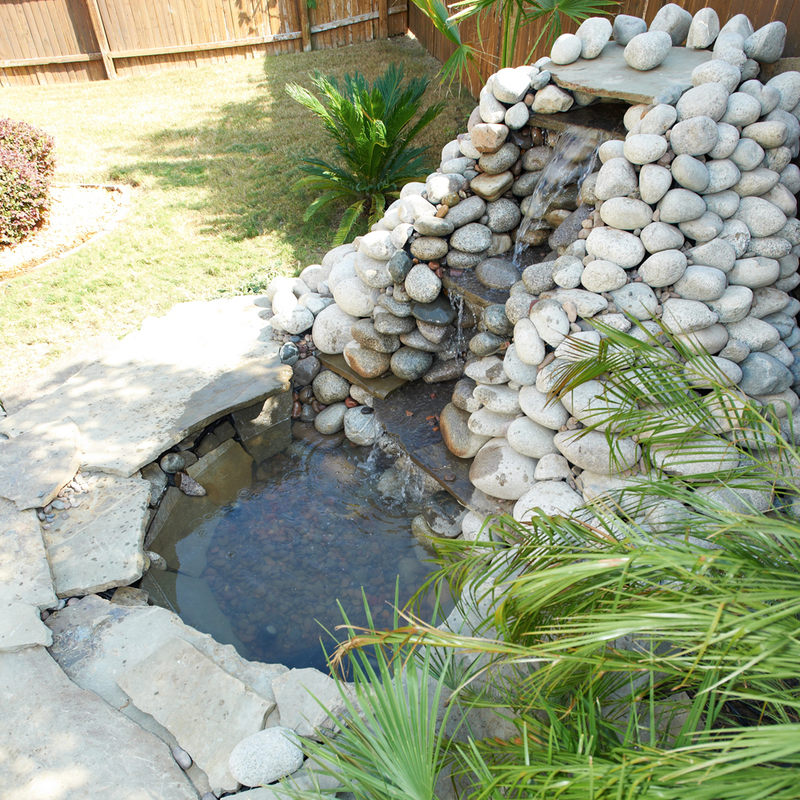 All TotalPond Waterfall Pumps have a back-spitting feature to cool the pump. The internal design of the pump allows larger debris to flow out of the discharge and finer particles to flow out of the rear of the pump. This ensures that the shafts and bearings are being continuously cleaned. Includes a mesh barrier pumpshield® prevent debris from clogging the pump. Dimensions: 10 x 4.8 x 6 in.